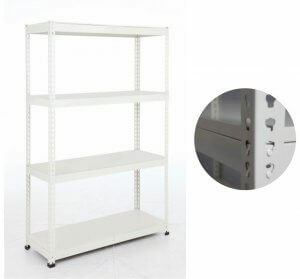 4-tiers light duty storage rack, powder coated in beige coating. 2 different deckings which are classified according to the different weight load capacities. Several of dimensions to cater to your needs. Height and decking can be increased accordingly. 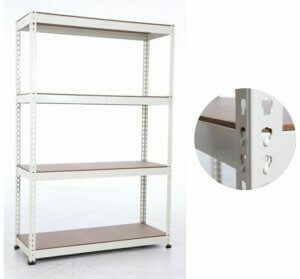 Very suitable for HDB household shelter, light duty storage for storeroom or even office filling organize. Easy to install and adjustable anytime you need. 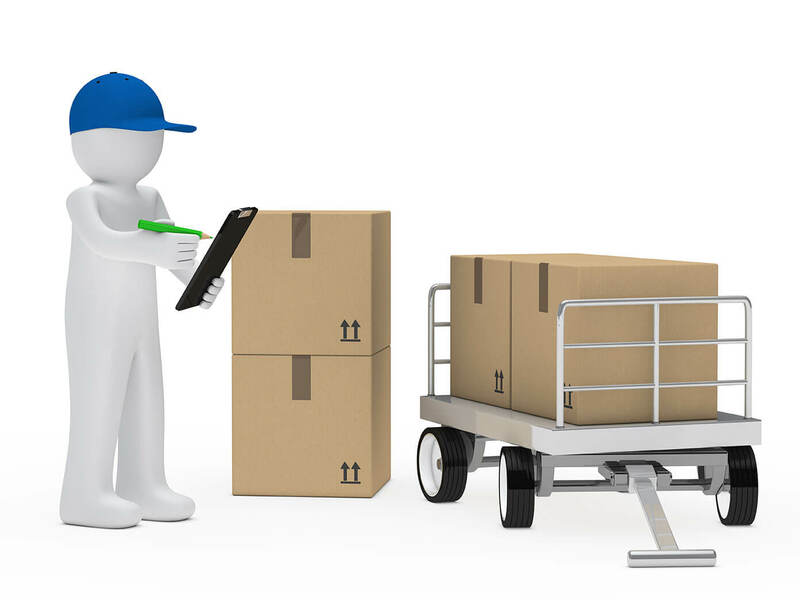 (UDL) Uniformly Distributed Load: As the length of the racking/shelving increases, the Uniformly Distributed Load (UDL) capacity of it decreases (less around 50-100 kg/level).